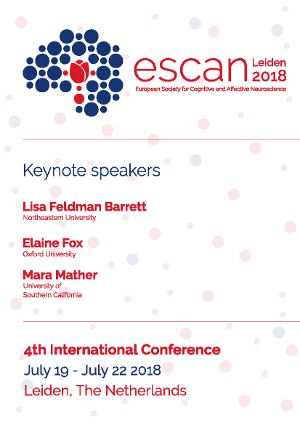 The 2018 international conference of ESCAN was the largest yet and a great success! If you feel nostalgic, you can revisit many of the conference highlights on Twitter: #ESCAN2018. 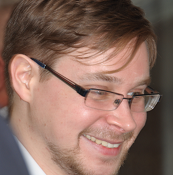 Matthew Apps recieved the ESCAN young researcher award during the Porto 2016 conference. At the conference he presented a talk on "Neurocomputational basis of social signals in the anterior cingulate cortex". We are pleased to announce the 3rd international conference of the European Society for Cognitive and Affective Neuroscience, that will take place in Porto, Portugal, between 23-26 of June, 2016, at the Porto Palácio Congress Hotel & Spa. The Board is pleased to announce that Michael Falkenstein, one of our founding members, and his team will be organizing the ESCAN2014 meeting. We look back at a succesful and well-attended first scientific meeting from 9 to 12 May 2012 in Marseille. The ESCAN kick-off meeting (10-12 December 2009, Amsterdam) was the first public manifestation of the society. 70 participants from all over Europe attended 20 scientific presentations. 50th Anniversary Congress of the German Psychological Society - LeiPSYCH. Paper submission is possible from 2 November 2015 until 29 January 2016.